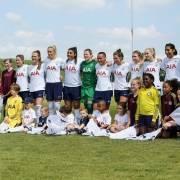 Tottenham Hotspur Ladies are nine games into the inaugural season of the FA Women’s Championship season and have made an excellent start having won seven of their opening nine games. They currently sit fourth in the table, however it is tight at the top as they are level on points with Durham and one point behind second place Charlton Athletic and have a game in hand on both teams. In the FA Women’s Continental Tyres Cup, Spurs have also made a positive start to their group that contains three sides from the Women’s Super League. Spurs are currently second in the group, having beaten WSL side Yeovil 4-0, with two games remaining of the group stage. 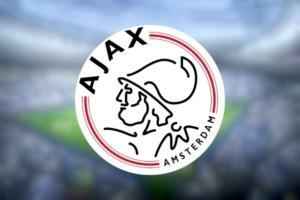 They will progress to the quarter finals of the competition if they finish in the top two. Individually, Spurs Ladies manager Karen Hills picked up the Manager of the Month award in the Championship for September whereas striker Rianna Dean was recently named Player of the Month for October. Dean is currently the third highest goalscorer in the Championship with eight goals behind Manchester United duo Mollie Green and Jessica Sigsworth and her form earned her a call up to the England under 21 squad in November. That was not the only international recognition in the squad though as Emma Gibbon and Megan Wynne were selected for the Welsh senior squad, demonstrating the progress Karen Hills’ team have made this season. 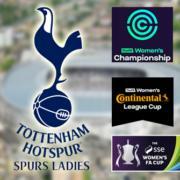 Here’s the full lowdown of each game Tottenham Hotspur Ladies have played in this season. Spurs’ first league match of the season ended with a victory against London Bees. Despite an early goal from the opposition, Spurs turned the game around in the second half thanks to goals from Coral-Jade Haines and Josie Green. Green’s goal was a wonderfully struck effort from the edge of the area which was worthy of winning any game. A double for Sarah Wiltshire and a goal from Rianna Dean ensured that Spurs won their second league match of the season. Goalkeeper Emma Gibbon also picked up her first clean sheet of the campaign at the Farley Way Stadium. Once again Spurs came from a goal down to win 2-1 and maintain their 100% league record. Rianna Dean and Angela Addison scored for the Lilywhites. Rianna Dean continued her scoring streak with two more goals as Spurs defeated Lewes on the 14th October. Karen Hills’ side again went behind but Bianca Baptiste immediately equalised before striker Dean took the game out of reach for Lewes. Spurs moved two points above Manchester United at the top of the Championship table with a thumping win over Milwall in their next game. Rianna Dean scored a hat trick against her former club whereas Angela Addison (2), Sarah Wiltshire, Ashleigh Neville and Bianca Baptiste also got on the scoresheet. Once again Spurs Ladies showed their spirit and winning mentality by beating Aston Villa 2-1. 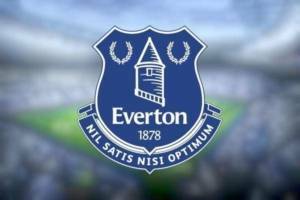 For the third time in six matches it was a 2-1 victory after going a goal down and set things up nicely for their table topping clash versus Manchester United. Unfortunately Karen Hills’ team suffered their first defeat in the FA Women’s Championship after going down 4-1 to promotion favourites Manchester United, who are still unbeaten in the league. A goal from Jessica Naz, her first for the club, was enough to get an important victory over Charlton to give Spurs their seventh win from eight Women’s Championship games. In their most recent outing, Spurs suffered a heavy defeat at home to Durham which meant that the away side went above them in the table. The Lilywhites had to play for over seventy minutes with ten women after goalkeeper Chloe Morgan was sent off for handling outside her area and the team never recovered from there. 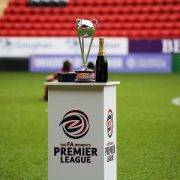 In a format similar to the Men’s Scottish League Cup, the first part of the Women’s League Cup is a group stage before the top two teams from each of the four groups qualify for the quarter finals. If the scores are level after normal time then the match goes to a penalty shootout and the winner of the shootout receives two points whereas the loser receives one. Spurs first game of the season was against Crystal Palace in the Continental Tyres Cup. The game finished 1-1 after normal time, with Josie Green scoring, and Palace ended up 5-4 victors on penalties. For the second Continental Tyres Cup game running, the match went to penalties. Goalkeeper Emma Gibbon had a game to remember as, on her competitive debut, she scored the winning spot kick to give Spurs two points against the team from the Women’s Super League. Spurs Ladies recorded an emphatic victory in their last League Cup game over a side in the division above them to put them on course for the quarter finals. Coral-Jade Haines scored a hat trick in under forty minutes whereas Sarah Wiltshire bagged the other to seal a memorable win over Yeovil. What’s Up Next for Spurs? Spurs are next in action against London Bees tomorrow in the Continental Cup before facing 10th placed Crystal Palace in the league on Sunday. 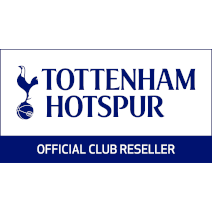 Our Spurs tickets and hospitality packages are available for all of Spurs upcoming home matches. To purchase, click on the relevant link below. 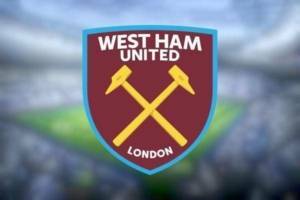 Also make sure you follow us on Facebook and Twitter to keep up to date with the latest tickets information and sign up for our regular Spurs Newsletter.